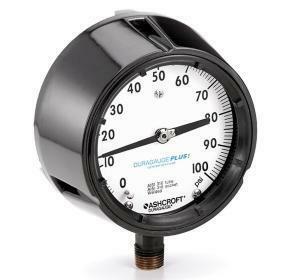 The Ashcroft 1279 Duragauge pressure gauge provides dependability, safety and performance. Used throughout the served markets, its manufacture is continuously monitored to assure uncompromising standards and material integrity. An ideal choice for satisfying most applications and installation requirements.